We waited all day Friday for UPS to deliver my new network storage device but it finally showed up at 6 PM. I find it incredulous that delivery companies like Purolator, UPS, etc cannot narrow their delivery times to a 4 hour window. Instead, the package was loaded on the truck for delivery at 05:30 am and they expected us to stay home all day in order to accept delivery, like we don’t have anything better to do that day. In any event, it is over and done. The package contained the boxed NAS Server and two separately wrapped Western Digital 2 TB, 3.5 inch SATA drives as seen above. 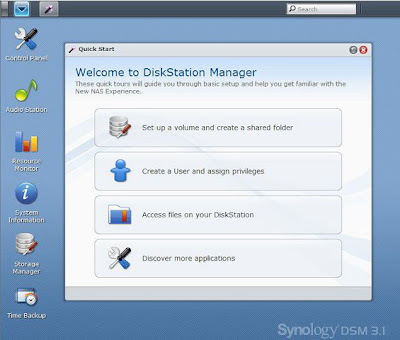 There are no written instruction with the server but it does come with a DVD which contains all the programming and instruction books. It didn’t take long for me to have the drives unwrapped and mounted in the server’s two storage bays. No additinal hardware was required. Just secure the drives to the built in trays with the provided screws and push the trays into the server bays ensuring the tabs are pointing upward. Pretty simple. After that it was simply a matter of connecting the server to a power source and then to my laptop via either USB or ethernet cable. 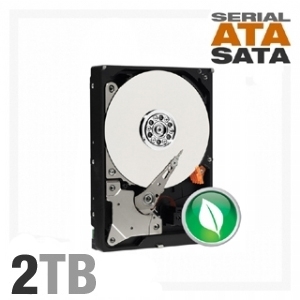 While not required, I did format both drives before using them. Synology’s DSM software is easy to use and the easy installation wizard got me up and running in short order. Once I confirmed the server worked properly while hardwired to my laptop, my next step was to sort out exactly where I was going to position it in relation to our Cradlepoint wireless router. The easiest place to install it was in our entertainment center above the passenger seat but that cabinet is getting a little full. On the left side of the photo below your can see the Cradlepoint router on top of the pile. Under that is the Datastorm controller and on the bottom is our DVD entertainment system. The black box on the right side is the Synology DS211+ NAS server and beside it, mounted to the wall of the cabinet is our Hughes satellite modem. I was a little concerned that I might have to lay the DS211+ on its side in order to get it in the cabinet, but Chris suggested I just remove our cell phone amplifier which we never use anyway. Once the cell phone amplifier was out, the NAS server fit in no problems at all. So the NAS sever is now connected to our Cradlepoint wireless router and humming along nicely on our secure network. We can also access music, video, photographs, etc on the server from any of our devices. Now all I have to do is sort out how to program the server properly to perform regular backups and we are good to go. 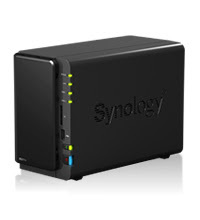 All in all, I am very impressed by Synology’s product. This entry was posted in Alberta, Internet, ipad, iPhone, Technology. that is huge bunch of wires! !..scary!